My name is Doug, my mom called me Douglas but my real name is Pseudotsuga menziesii. You can see why I go by Doug. I’m from the wonderful State of Oregon the “Beaver State”, however I’m a Ducks fan myself. I was lucky enough to be cared for on a Christmas tree plantation, getting yearly haircuts (shearing) and sprayed for pests regularly. After 6 years I was hand selected to become a Christmas Tree. A few of my friends were not so lucky because they were not as full, green and beautiful as myself.I smell really good! In fact I’ve seen cars with little pictures of me hanging in them to make them smell good inside. This is one of the reason trees like me are chosen to be Christmas trees. 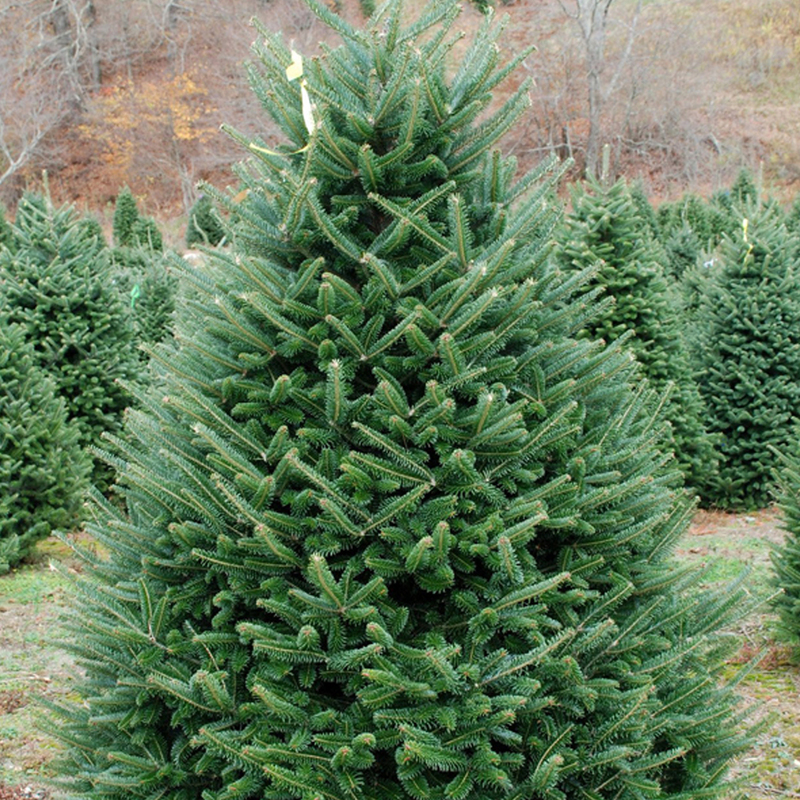 We are the most popular choice for Christmas trees each year. How can you resist a great looking tree like me? My needles are blue to dark green and from 1 inch to 1.5 inches long. Crush one of my needles some time and see just how nice I smell. 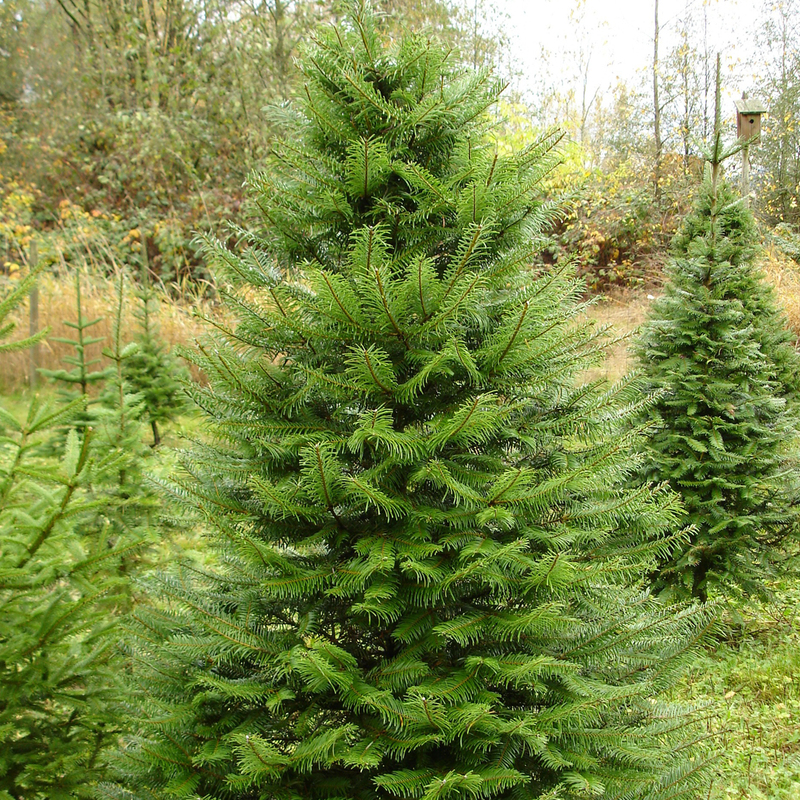 Pay no attention to my American cousins as I, Nordy Von Nordmann, am the best choice for a Christmas tree. I’m already the dominant tree of all of Europe. Now I plan to conquer America with my beautiful branches and hardy build. I come from the mountains around the Black Sea with a range that stretches from Turkey to the Russian Caucasus. Like a French super model I have absolute perfect shape and symmetry, while my modesty requires I hold on to every one of my needles well past the Americans trees. I’m also far less likely to make people that are sensitive to tree aromas sick, however if you like trees that smell like a car air freshener I’m definitely not for you as Nordy Von Nordmann will not lower myself to smell up a home just for attention. 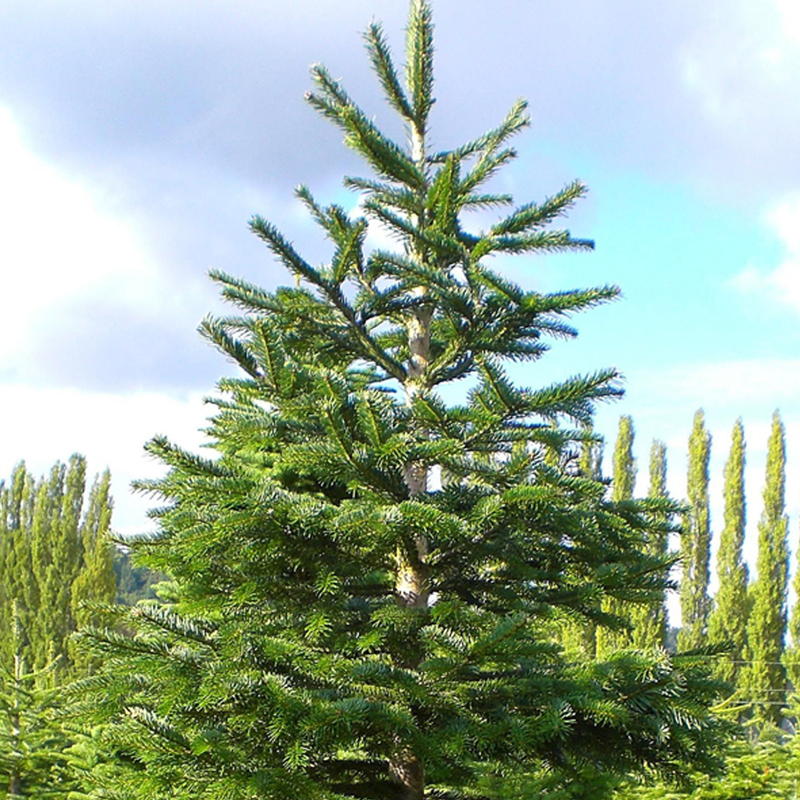 I am Fraser, also known as Abies fraseri. 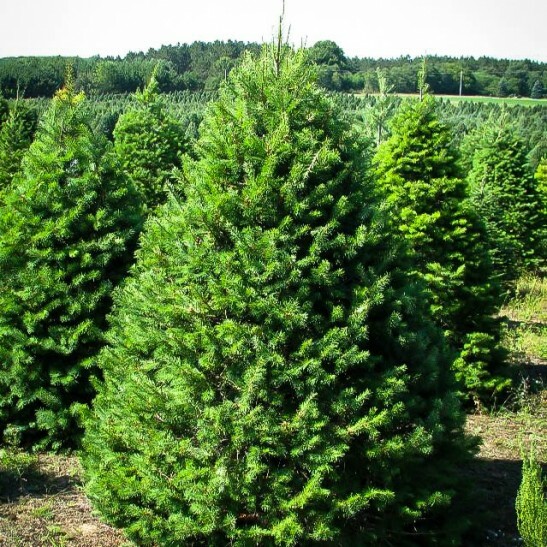 I am a small evergreen coniferous tree growing to between 30 and 50 feet tall (rarely to 80 ft [25 m]) with a trunk 16 to 20 inches across. My crown is conical, with straight branches either horizontal or angled upward from my trunk. I am dense when I’m young, but becomes more open as I age. My bark is thin and smooth.My leaves are needle-like, arranged spirally on the twigs but twisted at the base to spread in two rows; they are flat and flexible with a rounded or slightly notched tip, dark green to glaucous green above, often with with two silvery white stomatal bands on the underside. Can you believe those two? They don’t call me GRAND for nothing. I have a great fragrance that gives off the best aroma in the business. At first glance I’ve been mistaken for a Doug but I have shiny dark green needles that lay flat. I won’t hold it against you if you call be Doug once, just don’t let it happen twice.I love being a Christmas tree and can handle warm and cold climates with no fear. I’m a much fuller and richer looking tree than the other two. In fact some families lose their ornaments in me because I’m so full.Before my big break becoming a Christmas tree I was busy absorbing carbon dioxide and other greenhouse gases and releasing fresh oxygen in return. I love it and people seem to like that about me.I really hope to get attached to my Christmas family, so safety is important. While a tree has never started a fire, faulty lights, candles and fireplaces can. The safest tree is a well-watered tree. Besides safety, I’ll last a lot longer. I hope I get chipped into biodegradable mulch after Christmas to replenish soil in a park someplace. Recycling makes so much sense. I bet those lead paint, fake trees aren’t biodegradable. I’m native to only the Oregon and Washington Cascade and Coast ranges, making me very exclusive. Yes, I may be a little more expensive, but I’m Noble and worth it. I grow at higher altitude looking out over all the other common Christmas trees.I know I can be stiff; I’m not soft to the touch like Douglas, but what else would you expect from a Noble? 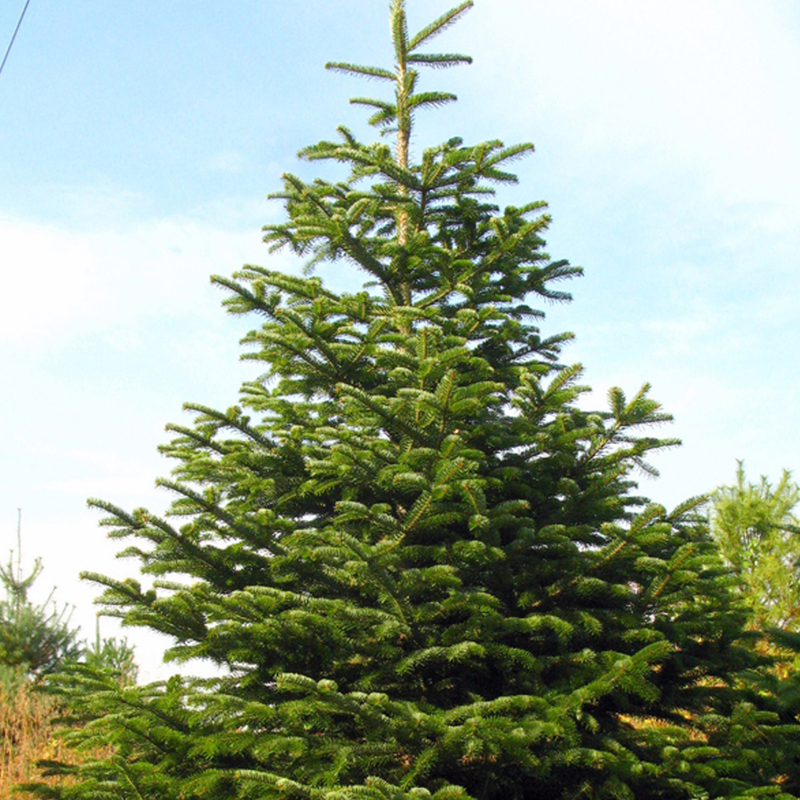 I will, however, last longer than a Douglas-Fir and only mildly fragrant. Not everyone wants their house to smell like a car freshener. My branches are mostly rounded giving me nice finished look. I’m no wimp. I’m hardy, being able to handle warm weather as well as bitter cold. My bluish green needles sometimes give me a silver appearance. It’s not because I’m old or cold, it’s the shine of Nobility. It’s not easy being the finest Christmas trees money can buy. They even use my clippings for wreaths, garland and door swags.My job is never done. I work producing air as I grow, family memories as a Christmas tree and even recycled I can be used in rivers, beaches and pond for fish habitat and erosion control. What can I say, I’m all natural.